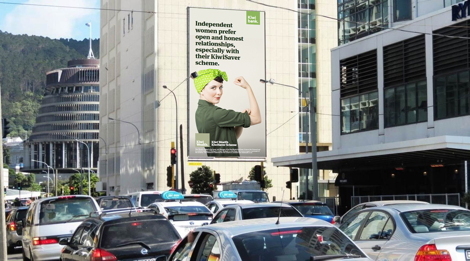 APN Outdoor this week announced its acquisition of New Zealand based billboard business, Roadside Attractions, from Twisted World Limited. Founded in 1997, Roadside Attractions is an established national billboard operator, with 113 panels throughout the country. The portfolio was attractive to APN Outdoor because of the complementary nature of the sites geographically; including important markets such as Hamilton, Tauranga, Wellington and Christchurch, as well as giving the Outdoor leaders an opportunity to enhance existing, and develop new landowner relationships. The sites acquired by APN Outdoor allow for simple integration with the existing sites owned and operated by APN Outdoor. As well as this, the new sites increase the pipeline for potential digital conversion opportunities which has been a focus for APN Outdoor in both the New Zealand and Australian markets. APN Outdoor is New Zealand and Australia’s premium Outdoor media provider, with market leading digital and static assets throughout each Trans-Tasman capital city. The Outdoor leaders have engaged a strategic and focused Digital growth strategy, in both markets, and continue to announce upcoming conversions and developments in this space. This entry was posted on Wednesday, August 19th, 2015 at 06:05 @295 and is filed under DailyDOOH Update. You can follow any responses to this entry through the RSS 2.0 feed. You can leave a response, or trackback from your own site.